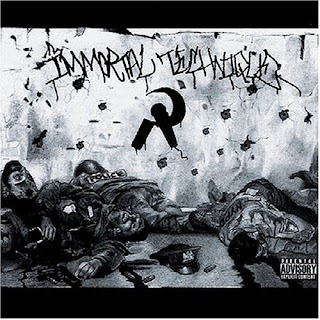 In 2001, Immortal Technique released his first album Revolutionary Vol. 1 without the help of a record label or distribution, instead using money he had made from winning various rap battles. In November 2002, he was listed by The Source as the month's featured "Unsigned Hype", which highlights artists that are not signed to a record label. The following year, in September 2003, he received the coveted "Hip Hop Quotable" in The Source for a song entitled "Industrial Revolution" from his second album. Consequently, since he did not have a record deal or distribution at the time, Immortal Technique is the only rapper in history to have a "Hip Hop Quotable" while being unsigned. He finally released his second album Revolutionary Vol. 2 in 2003 under Viper Records/Nature Sounds distribution on CD and double LP. In 2004, Viper Records and, in 2005, Babygrande Records have re-released Immortal Technique's debut, Revolutionary Vol. 1, to make it available to a wider audience. I don't have to say anything about this album, this is for those that have heard of him but never actually listened to his first 2 albums. One quick thing, Dance With The Devil is one of the deepest tracks you will ever hear!